Marco Passarani from Nature records @ Finalfrontier.it represents more than ten years of hard work and fights in the frontline of the underground of the electronic dance music scene. 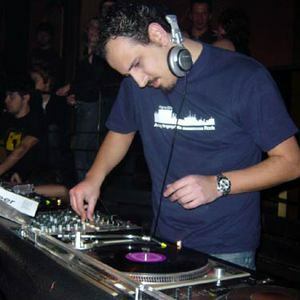 Passarani's journey into the electronic dance scene has always been in a central position because of the many collaborations he did: at the beginning of the 90s he was involved in the roman radios techno scene and he started just after to contribute to the roman techno raves sometimes as a dj, sometimes playing live. Passarani's journey into the electronic dance scene has always been in a central position because of the many collaborations he did: at the beginning of the 90s he was involved in the roman radios techno scene and he started just after to contribute to the roman techno raves sometimes as a dj, sometimes playing live. His very first productions came out in late 1993 on Detroit based Alan Oldham label 'Generator', then he created Nature records and his own distribution and production company Remix Distribution The Final Frontier (at the beginning together with Andrea Benedetti). He started collaborations with the dutch scene (he relased on Interferred communications from Den Haag), with Rephlex (the Mururoa project contains a track made by Marco) with AntZen (the industrial post-rock German label). Lately he also collaborated with the Skam collective in Manchester (he has a 12" that features remixes of one of his tracks taken from the last album realized by Jega, Team Doyobi and Gescom) and the Clone / DUB family in Holland (he remixed the acclaimed "Hand to Phone" from Adult). His sound (which is influenced more by UR / early Detroit at the beginning and much more by electro / broken beats during the second phase) has always been very emotional and dynamic at the same time and his last works focus right on these sonic features: the sound of Marco actually brings many flavours such as electro, hip hop, industrial, techno and ambient - and that also proves the high quality of the sound that the roman electronix musicians and djs developed since the beginning of 90s, probably one of the most productive and underestimated underground scene. A new phase for him and for Nature records has started after the release of his last album "6 Katun": Marco is back more on turntables, spinning almost everywhere in Europe and he became more "the producer" behind the stage bringing to the attention of many bands such as Jolly Music, J's Pool, Monomorph and Ambit 3 (the recent compilation "Mission 3: establishing electronix network" once again is the evidence of Marco's researches in the underground for new and exciting electronic artists). Actually he's working on new music for Nature and for the Finalfrontier's crew new label "Pigna" .... expect lots of new tunes in the next season.